Over the past few years I have traveled extensively to find horses and their people in some of the most interesting locations of this world. 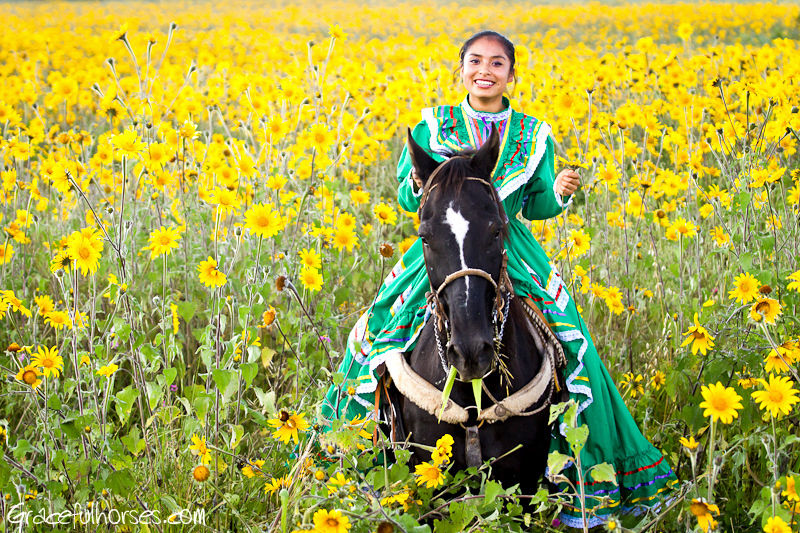 I have been to Mexico before and absolutely loved it, but at the time I have experienced it in a completely different way. 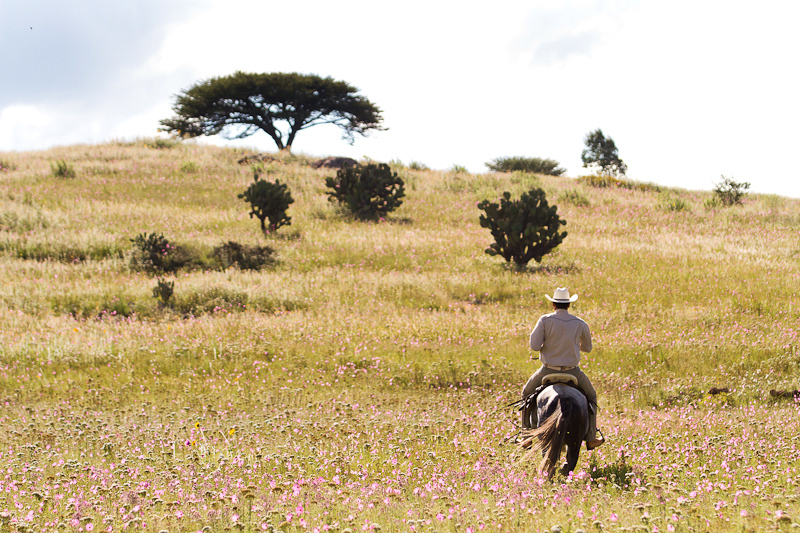 Never had I thought that my passion for horses would allow me to explore this rich culture on a totally new level. While in Europe, I was lucky enough to visit Switzerland, a country which, to me, is a model of high civilization. When I say Swiss, I think quality on all levels. 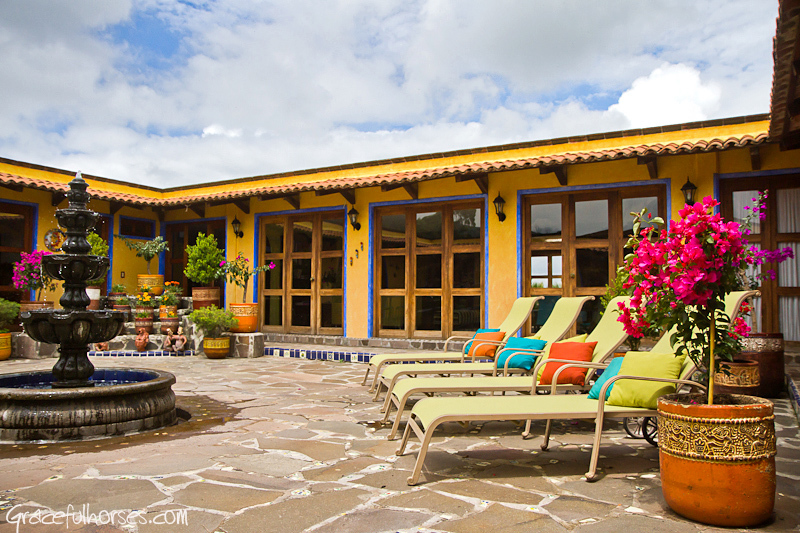 While doing some research I read about a place in the mountains of central Mexico where Swiss management and Mexican hospitality formed what seemed to be, a very unique and appealing blend. It did not take long before I knew I had to go and see it with my own eyes. The visit was what I expected…and much more. 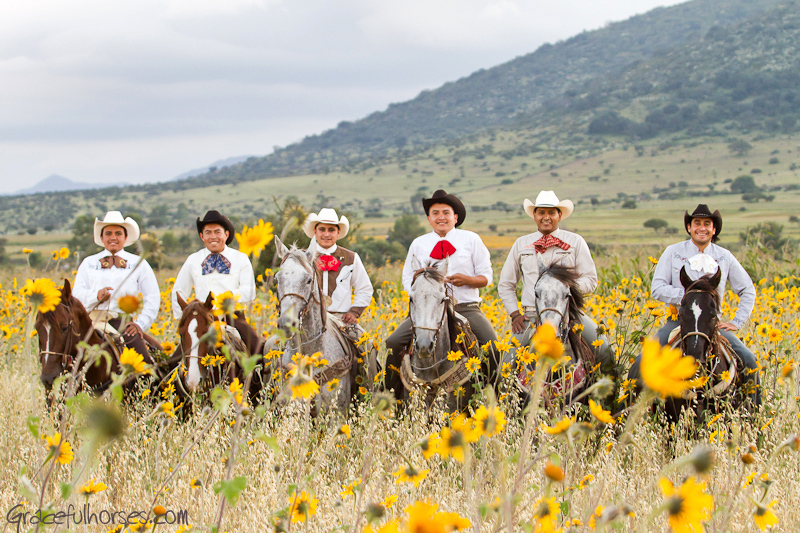 “Mi Casa es su casa” is definitely no overstatement at Rancho Las Cascadas. Here, everything is about making sure that everybody who visits feels at home. Coming to the Rancho after a super exciting yet somewhat tiring travel time felt like balm to my heart. I finally had the chance to unwind, feel nurtured while thinking of absolutely nothing. I could have not asked for more. I had everything that I could possibly desire to fully relax, forget about everything and just be: fabulous accommodations, delicious food, inspiring surroundings, colours and textures to make the photographer in me go nuts, great company of like minded people, the chance to swim every day in the most amazing infinity pool and last but not least, some of the nicest horses I have seen. Which, thanks to Swiss owner Uschi Wiprachtiger, I got to experience on a new level: she persuaded me to ride! 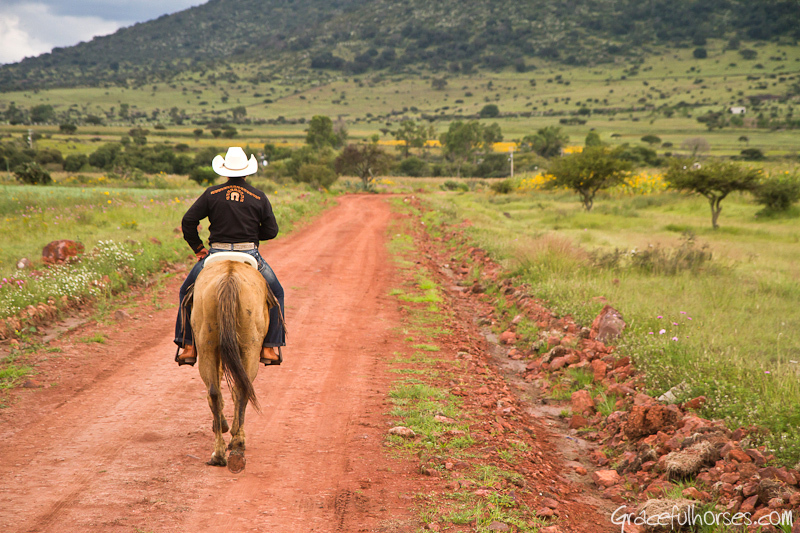 Not only that, but I found myself on the back of a gracious…stallion, named Gigolo. My life changed and, as I mentioned to Uschi at the time, this was one of the best gifts I could have received. The world surely looks different from the back of a horse. Uschi came to Mexico 20 years ago as a representative of a luxury Swiss travel agency, Kuoni Travel. She took care of Swiss guests, making sure their experience was a quality one. 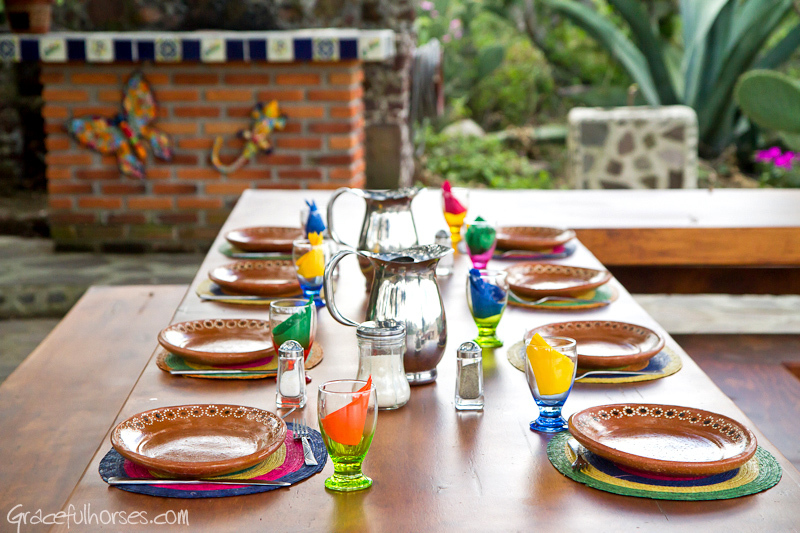 Later on she moved to Mexico City and about 12 years ago, through an interesting chain of events, she became the owner of a beautiful piece of land in the San Agustin Buenavista area. With the intention of building a weekend home for herself where she would have just a couple of horses, Uschi’s initial plans grew into something bigger, expanding her vision and surely, stretching her boundaries. 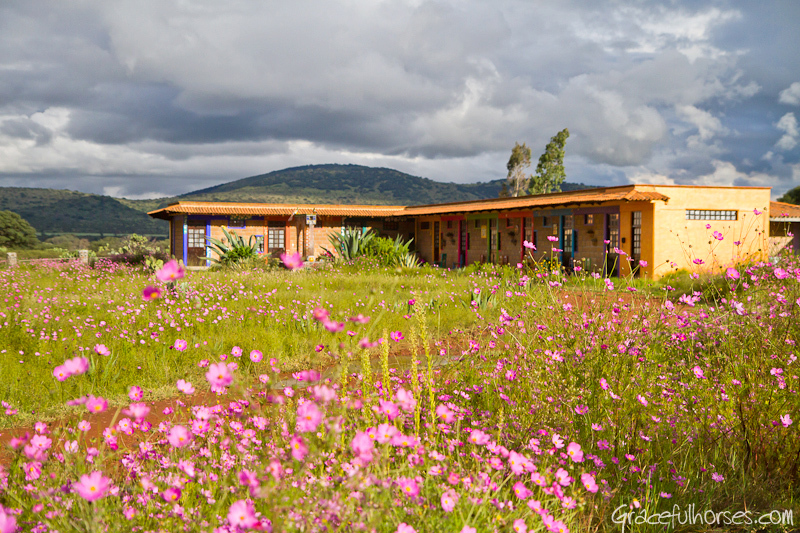 As she says today, ‘this ranch was built following the principles of the Law of Attraction’. Basically, what was meant to happen, happened and, even though she sometimes feels she ‘gave birth to an elephant’, I am sure today’s end result helps her forget about the labour pain. Not only her dream of a Spanish home with a courtyard materialized, but it is now a luxury boutique hotel Uschi gladly shares with the rest of the world. Lucky us, guests! 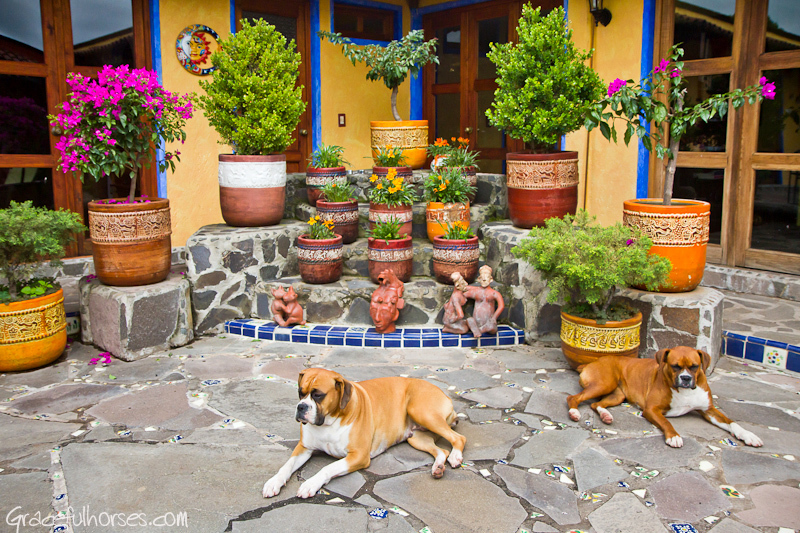 Owner Uschi’s dogs are an indispensable company around the Rancho and most importantly, during rides. Everything around the ranch seems to be a manifestation of Uschi’s joy to have had her dream come true. 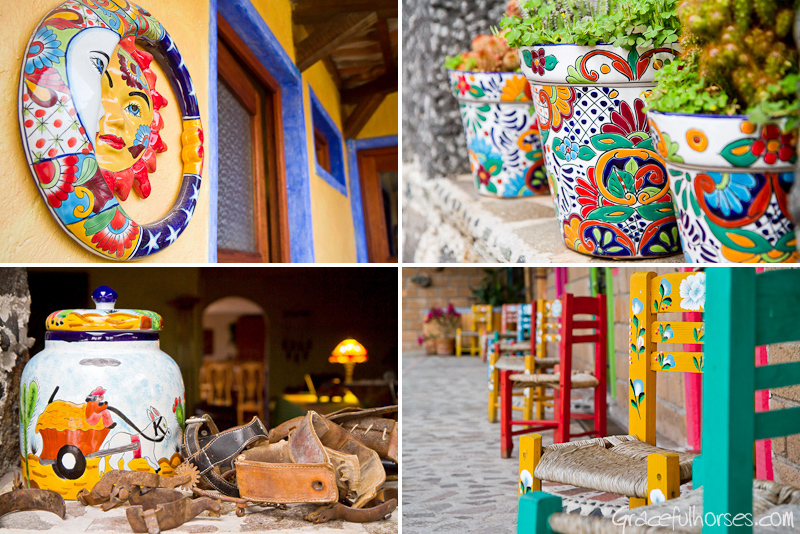 There is an explosion of colours and beautiful details everywhere. No corner was left to chance. Corona in my hand, I took the time to explore this Paradise and marvel at its uniqueness, all this with a constant smile on my face. Good taste prevails and the spaces are thoughtfully decorated, inside and out. 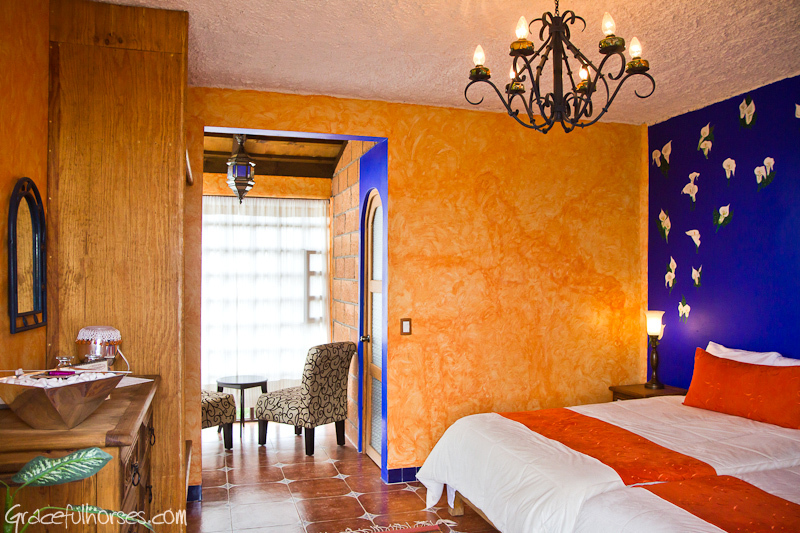 The rooms are welcoming and warm, artsy and super cozy. 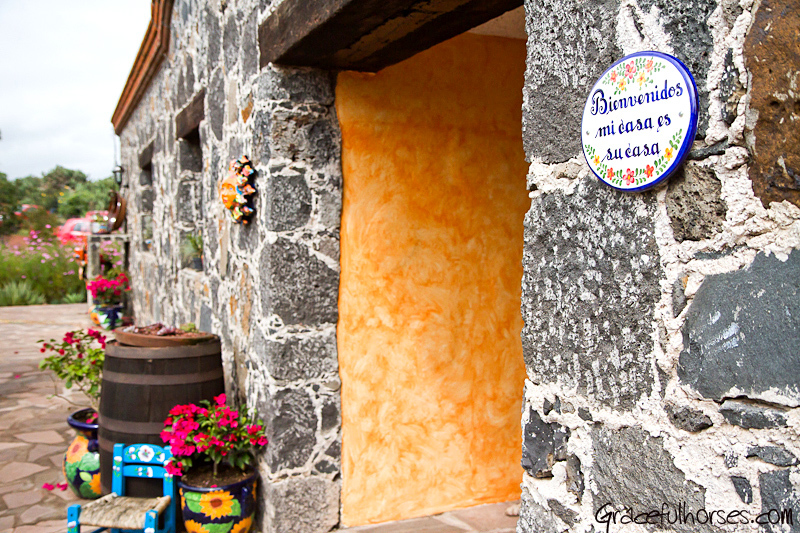 Everything fits together perfectly and makes for a delightful stay. 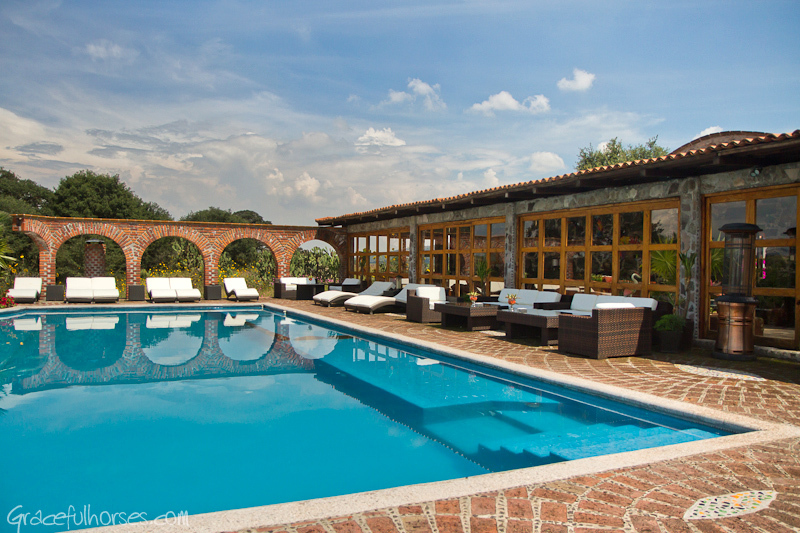 The infinity pool at the Rancho is a real treat. Guests can have a swim while enjoying spectacular views. Lunch is often served outside. One of the waterfalls (Las Cascadas) can be heard and viewed nearby. 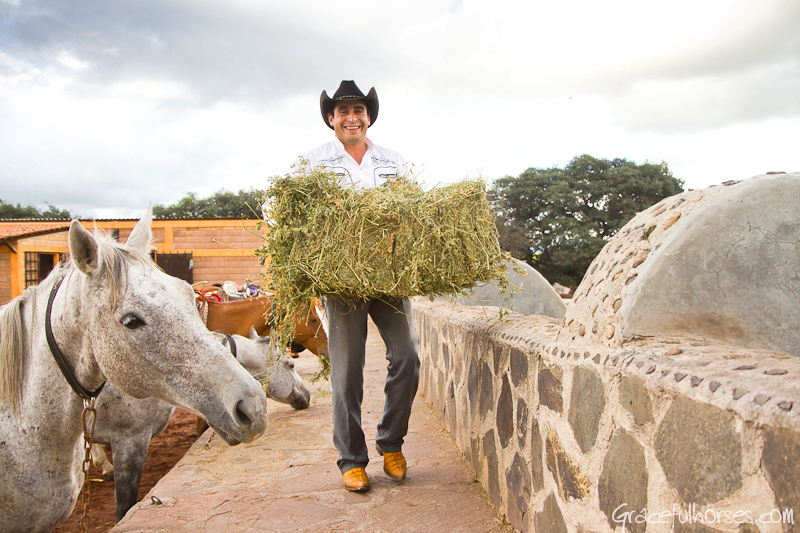 Meals at Rancho Las Cascadas deserve a chapter of their own. Not only the ingredients (and the way they are put together) are simply a feast for the senses, but a few more elements add up, making for an ultimate experience: eating while hearing and seeing waterfalls, staring into the vastness of the surrounding countryside, watching the occasional Monarch butterfly fly by and sharing all this with fabulous guests that have lots in common. While at the Rancho, I have had the pleasure of meeting fun, interesting people. Some of my faves: a group of British Airways flight attendants with an enviable zest for life! It was because of these fabulous ladies that I was introduced to my next favorite stallion and my companion for all remaining rides: Atilla, a real gentleman who took care of me each step of the way and helped me manage through my initial apprehension. 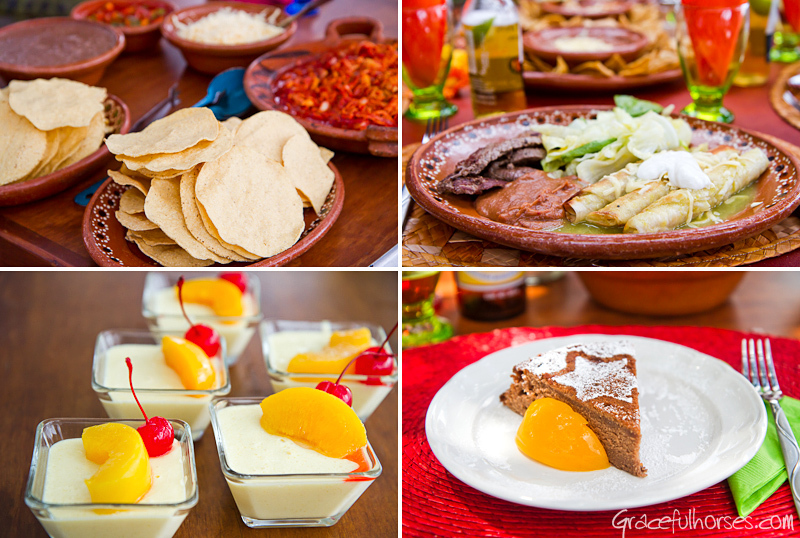 Delicious meals are served everyday at the Rancho. Swimming and riding are great opportunities to compensate for over indulging! 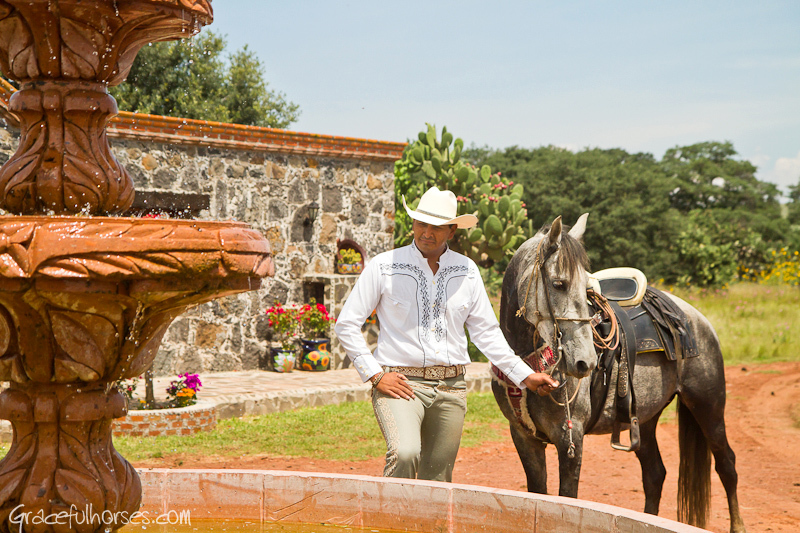 The Rancho stables hold the same unique Mexican charm and character. 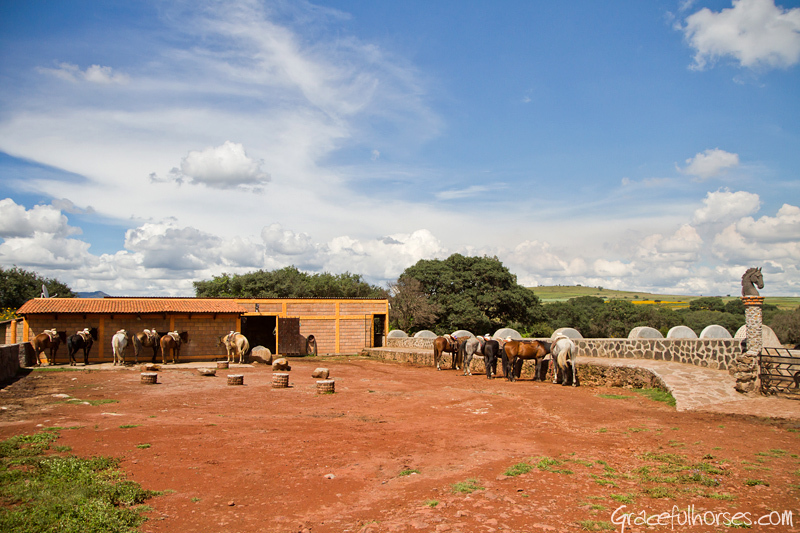 The inside is dedicated to the tack only, horses live outside as a herd. 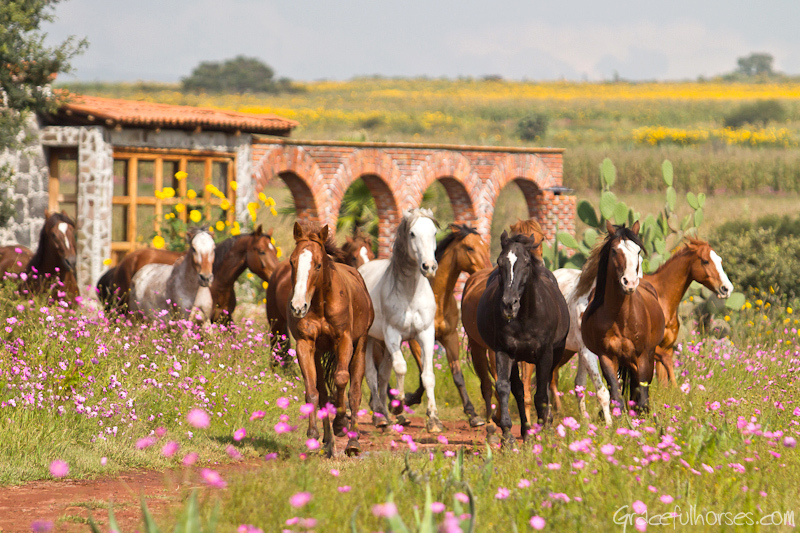 With impressively unique and romantic names like: Palomo, Mercurio, Allegro, Napoleon, Vivaldi, Diamante, Gigolo (to name a few), this happy 30+ bunch of stallions and geldings is a big part of the reason why guests keep on returning: they graciously take people out for over 30 different rides through the open range, under the big Mexican sky. For the avid, versed rider, the ‘no restrictions whatsover’ galloping through the vastness of the countryside is priceless and surely, a signature offer at the Rancho. 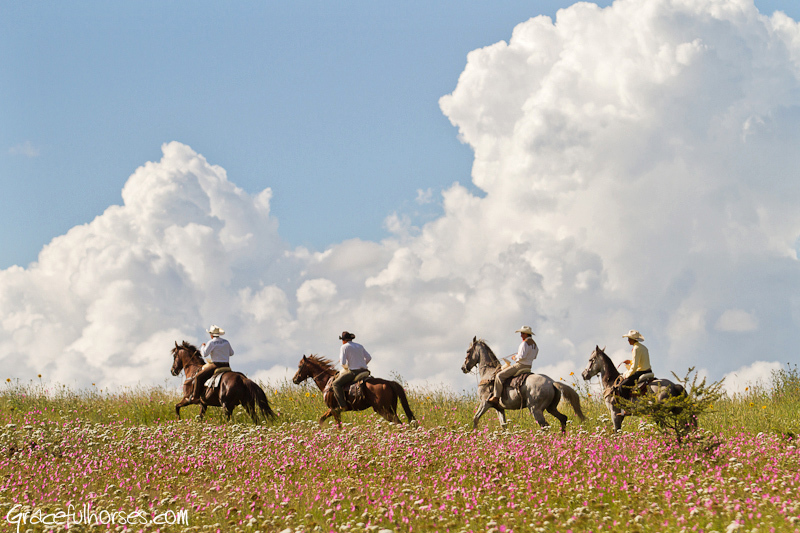 While exploring the countryside on horseback, owner Uschi discovered the vastness of the land and realized the potential for her future ranch pursuit. 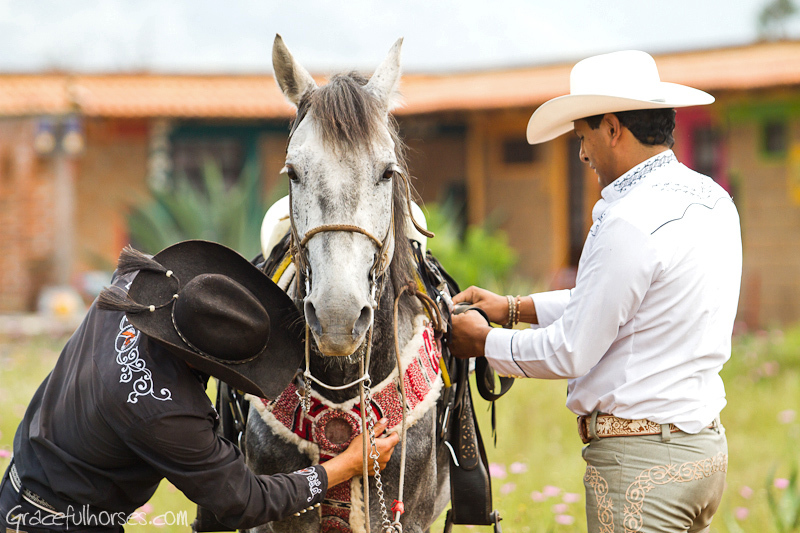 Beautiful, well mannered and fast horses, teamed up with their friendly and talented wranglers, are Rancho’s signature and many guests return for more. More about the Rancho on their website.